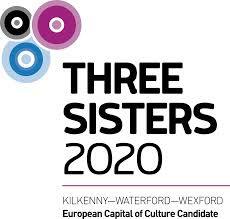 The Waterford branch of the Irish Wildlife Trust plan to organise their Sunday walks before for the autumn of 2015 around the theme of the Three Sisters. 11th August 3 sisters estuary walk from Woodstown carpark at 7.30 p.m. to Fornaght and Creaden head. 11th October on the river Barrow from Graiguenamanagh to St Mullins. 14th November on the river Suir from Bilberry to Carriganore.